Faux assassinations, decent refreshments, and a bare minimum of PowerPoint are hardly standard fare at a major art conference. 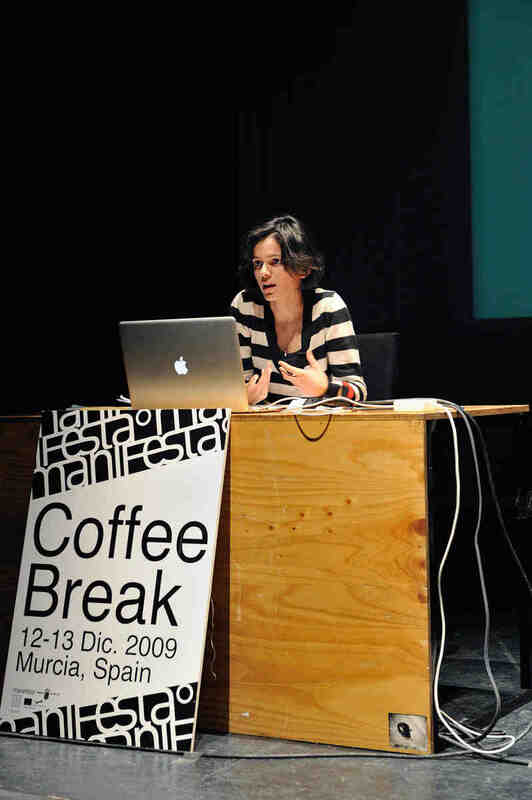 Still, this was the lay of the land at the kickoff meeting — endearingly called a “coffee break” — for the next Manifesta, Europe’s famous nomadic biennial, to be held in October 2010. An impressive group of art world professionals convened for the two-day conference — held in Murcia, Spain — to experience the context of the host city, to learn more about the curatorial concepts of the three groups shaping the event, and to have a wider discussion surrounding some of the key ideas and contentions of Manifesta in its eighth iteration. A lot, it seems, has changed. 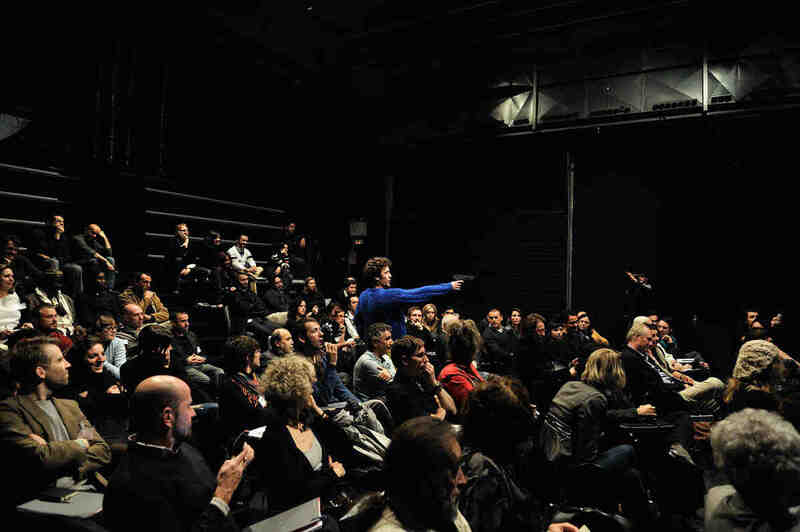 In a departure from its traditional Eastern Europe–Western Europe orientation, the Manifesta Foundation has assumed a new, more expansive, trans-Mediterranean approach, connecting Europe and North Africa. In another noteworthy development, the foundation has invited three collaborative groups to curate the biennial: Chamber of Public Secrets (CPS), the Alexandria Contemporary Arts Forum (ACAF), and the tranzit.org network. The coffee break’s first session was kicked off by Alfredo Cramerotti and Khaled Ramadan of CPS and aimed to focus specifically on the general contextualization of the biennial — on the local, in terms of audience, artists, and media presence. Raising important, if slightly hackneyed, questions — “Could the audience and regional art community really play a role in the biennial? 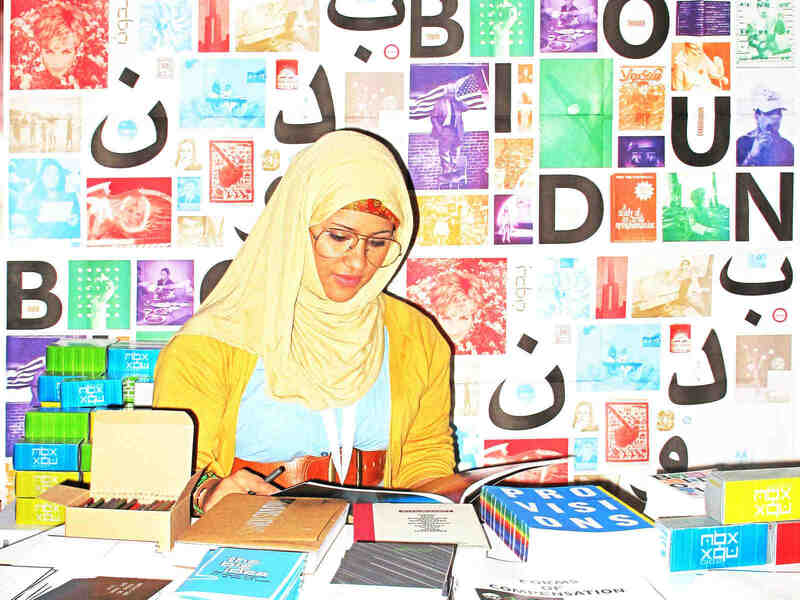 Could they make use of it in a long-term, sustainable way?”— the session’s organizers aimed to take into account feelings of invasion as experienced by locals whenever the international art fraternity happens to land in their neighborhood. Overall, it was a didactic session, its sweep broad enough to cover numerous perspectives; but in the end, it never came to any conclusions as to what exactly “the local” could and should be. Christine Eyene of the Creative Africa Network gave a talk about collaboration with artists based in Africa, ultimately suggesting a more inclusive approach from CPS, for the biennial and in general. What was sorely missing, however, was the reasoning behind such a plea for inclusion. At times, there seemed to be a fine line between curiosity (over the antagonisms that bringing Africans to Spain could induce, given Spain’s general hostility toward them) and politically correct representation of foreign creativity. The second session, led by ACAF, was more performative, and downright entertaining. “Ladies and gentlemen, señoras y señores! Welcome to our auction!” Bassam El Baroni, artistic director of ACAF, along with associate curator Jeremy Beaudry, hosted an auction in which the audience could bid, using imaginary Manifesta euros, for contemporary exhibition concepts that in reality would be painfully derivative, such as That Other Modernism! (an exhibition that would trace the influence of “Western aesthetics” in art from North Africa and the Middle East); The Tables Have Turned (an exhibition of contemporary Islamic art — with a twist! ); and I’ll Be Your Mirror (an exhibition about the West’s fascination with itself, especially when filtered through the lens of the exotic Other). It proved extremely engaging and, I dare say, fun for the audience, while demonstrating ACAF’s savvy, as well as their reflexivity toward the politics of representation. Just as it seemed the auction was approaching its finale, an audience member stood up, a distinctly Middle Eastern–looking guy, struggling to speak English but evidently and vocally cursing the curators. 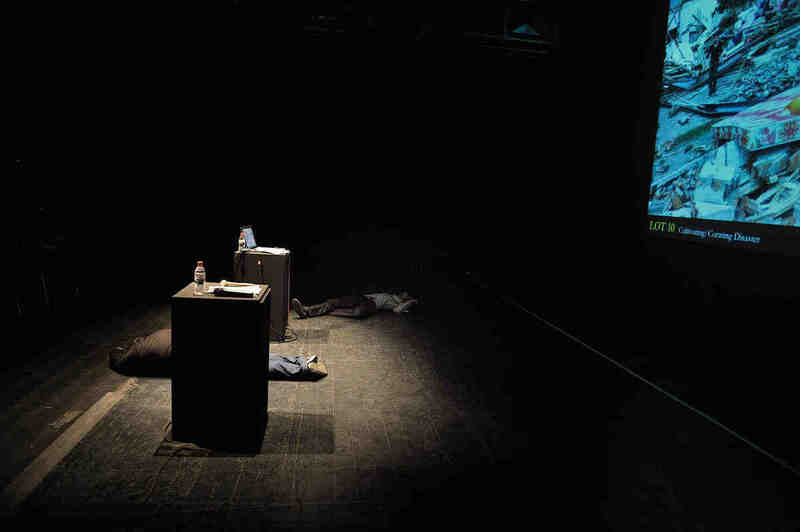 An awkward moment for the audience ensued, after which a mock gunshot assassination took place, with our two auctioneers subsequently lying inanimate on the ground. Then the lights dimmed, and the auctioneers, while shining torches up into their own faces, slowly clambered to their feet, as if zombies awakening, and staggered to the exit door miming along to Screamin’ Jay Hawkins’s “I Put a Spell on You.” Heady stuff. Invited participants also gave thought-provoking and engaging presentations. Sherif El Azma presented a lecture-performance based on his tracking of the Cairo Psychogeographical Society — which, as Beaudry commented during one of many intervals, “breathed new life into psychogeography.” Nida Ghouse, representing the Take to the Sea Research Collective (she is also a member of CAMP), also gave an engrossing composite lecture-performance on their investigation of migratory impulses, to conclude the session. ACAF’s well-crafted session presumably offered a taste of what’s to come of their “theory of applied enigmatics,” a concept at the core of their approach to the upcoming biennial. Described as a “network of autonomous art associations” from predominantly across Eastern Europe, tranzit.org led the program’s next session with a rather clinical lecture-performance incorporating audio and video components and addressing, if somewhat abstractly, issues of identity politics and social classification as they understand them. The session was followed by a general discussion of the relationships between postcommunism and postcolonialism. The ensuing confusion, which ultimately reeked of the standard post-painful-legacy-anywhere-type conversation, was the only real disappointment of the event. It was just too bewilderingly broad to engage the audience. At its best, what the session managed to do was highlight a divergence in attitudes toward the postcolonial impulse. While tranzit.org seemed to be grasping for critical theory or a discourse to address the postcolonial, ACAF emphatically rejected it as superfluous baggage, particularly with respect to the trans-Mediterranean context. CPS, in the meantime, through the proclamations of Denmark-based artist Ramadan, seemed more inclined toward the idea of contemporary neocolonialism than of actual postcolonialism, citing, somewhat ambiguously, Western interventionism in the Middle East. I, for one, was concerned that we couldn’t avoid the requisite nod to postcolonialism as lens.